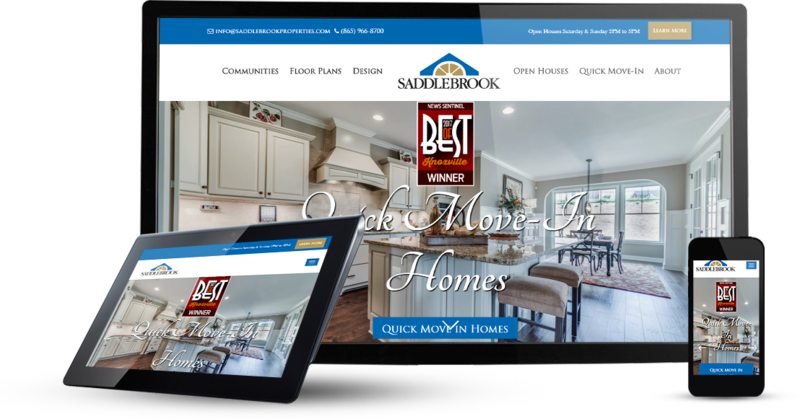 We designed and developed a fully custom, mobile first website for Saddlebrook Properties. 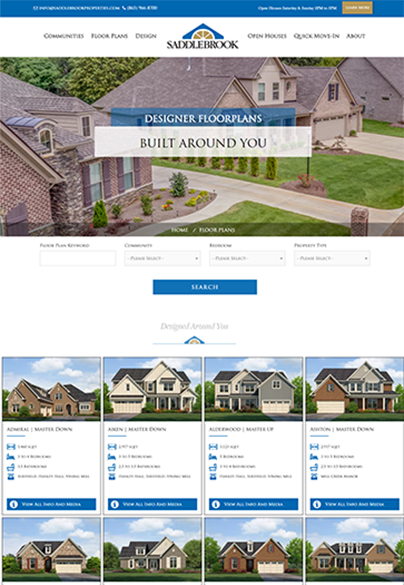 It's built to engage and captivate users while they tour their many communities and luxury floor plans. 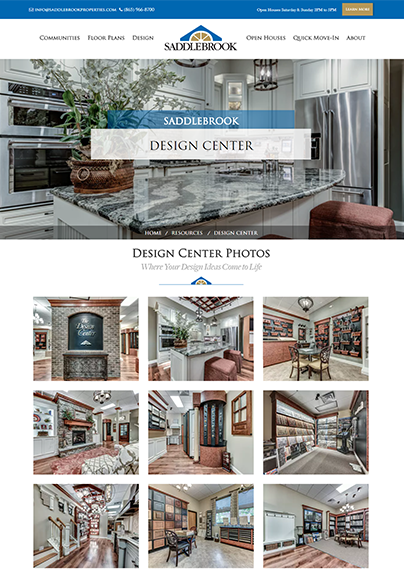 Our goal was an online experience that would allow visitors to tour Saddlebrook's luxurious communities and floor plans using custom media that showcases the quality craftsmanship that goes into each Saddlebrook luxury home. 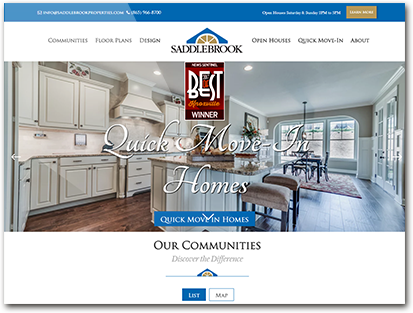 Saddlebrook's floor plans and communities constantly change and quick and simple site updates were critical. 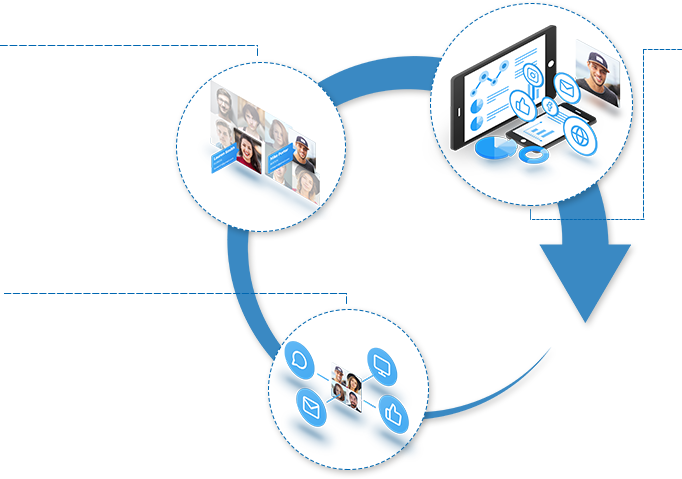 We developed a content management system allowing required changes to be deployed quickly. One of our core beliefs is that you can have the finest architected site on the planet, but if users hate navigating it, we've failed. All site decisions were made only once user experience was optimal. We worked tirelessly to ensure we produced call-to-actions with the highest probability of conversion. We needed to convert anonymous web traffic into verifiable leads. Jokingly we asked ourselves, "If we built the greatest website on earth, but no one visits it, does the website even exist?" We made sure the latest SEO standards were used, and we've increased traffic month over month. 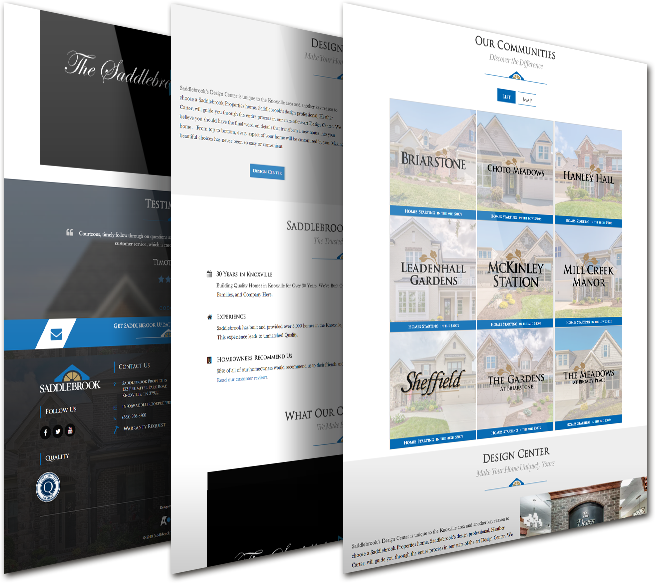 Sophisticated tracking pixels serves Saddlebrook content to leads accross different digital platforms automatically. 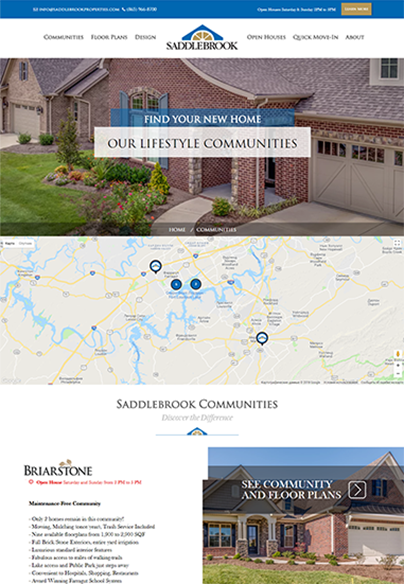 For example, when a user visits the website, Saddlebrook content will now appear in their social newsfeeds. 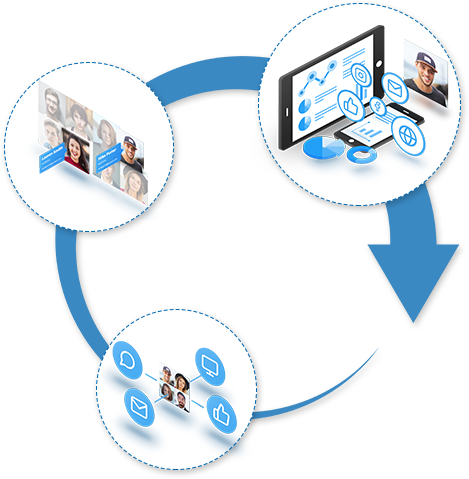 The website automatically works to discover a visitor's identity, places them into a sales funnel, and records lead information into our CRM on-the-fly. Automation nurtures them through the steps of Saddlebrook's sales cycle.